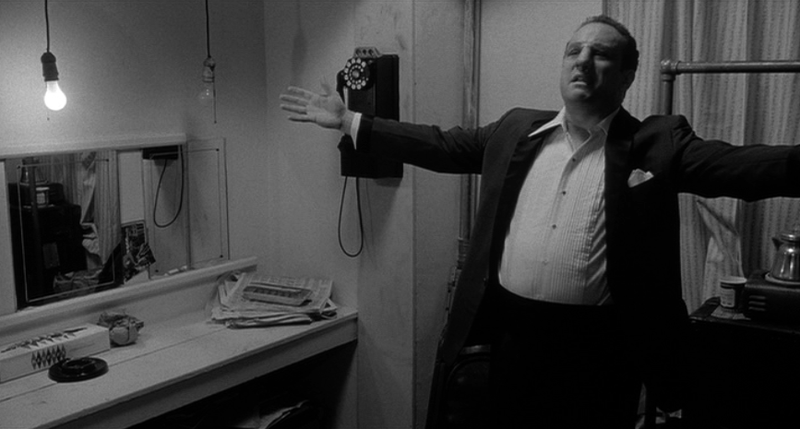 There is some irony in Raging Bull being called “the best American film of the 1980s.” Its placement in that decade is a mere accident of chronology – and critics calling it the best of those years are essentially saying what (little) they think of them. Peter Biskind, by naming his book on 70s American cinema Easy Riders, Raging Bulls, acknowledged an important fact: when Raging Bull came out in 1980, it was closing out, rather than ushering in, an era. To this day, it remains a kind of fault line in cinema history – before it come the acknowledged classics, after it a number of films up for grabs, many possible masterpieces or potential classics, with their adherents and detractors, but few with the kind of immediately obvious weight Raging Bull carries. It is the last of the "consensus classics," a generalization (even Citizen Kane has its critics) but a helpful one in determining the shape of critical and popular opinion, and thus a kind of cinematic historiography. Among popular Hollywood touchstones there’s E.T., maybe Raiders of the Lost Ark. 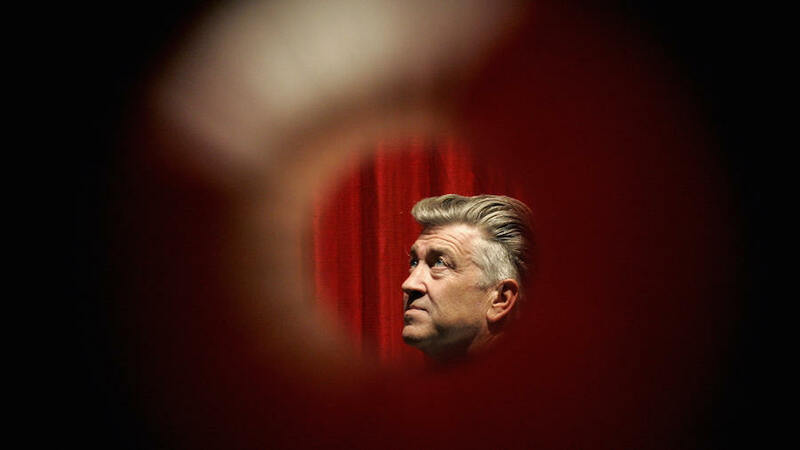 Lynch’s unique voice has been recognized in the cautious canonization of Blue Velvet and (to a lesser extent) Mulholland Drive - though the "Lynchian" seems to transcend a single film. Do the Right Thing has its advocates, while Goodfellas and (more controversially) Pulp Fiction were huge gamechangers as far as style goes, informing everything that came afterward. Schindler’s List is probably the only post-Raging Bull film to seem just as “unavoidable,” as unquestionably important to the conversation – although it has many major detractors in a way Raging Bull does not. In recent years, only the one-two punch of 2007 (No Country for Old Men and There Will Be Blood) seem to contend that same throne. What happened? It would require many more posts to explain in detail why consensus becomes less clear after Raging Bull. But the phenomenon is real, not imagined, and it is not a matter of time passing before the dust settles on reputations – consider that from 1962 to 1982, recent films did not have trouble making the international Sight & Sound lists: indeed, Raging Bull cracked the top three “all-time greats” within a dozen years of its release (back in 1962, L'Avventura made an even quicker jump, #2 after two years). I think there have been plenty of great films since then, but my list differs substantially from everyone else’s, as do everyone else's from one another. A certain common ground has been lost (the advent of DVD and the internet will either reverse or hasten this stasis in canonization, perhaps both; the 2012 Sight & Sound list should be interesting). What interests me here is why Raging Bull does make the cut, and what that means. I saw Raging Bull as a teenager, in the flush of my second cinematic renaissance (the first had been more limited to blockbusters and a few select classics, when I was in first or second grade). I adored Taxi Driver, and responded instinctively to Scorsese’s kinetic style, as I still do. However, Raging Bull was a tougher nut to crack, eschewing the feverish intensity of Taxi Driver for something colder, harder. 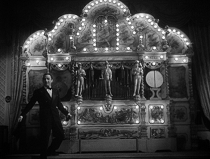 The black-and-white cinematography is not the only element of this film that is spare, bleak; the slow-boil performances, the rich but muted sound design (except in the fight scenes), and especially the gritty, unromanticized locations set the audience at a bit of a distance although other elements ultimately offset and counteract this experience. There is something deeply romantic about Travis Bickle’s sense of alienation, as if he’s falling, falling (like James Stewart in Vertigo) into the wide and endlessly deep gap between the heroic mythos of pop culture and the confusing chaos of his daily life in the real world. On the other hand, Raging Bull’s Jake LaMotta, a wife-beating paranoid case who struggles between discipline and temper to get his middleweight title shot, seems to experience life in broad strokes: sheer rage, lingering paranoia, a kind of aimless lassitude. Scorsese reflects this with a kind of (barely) glamorized plainness: look at all the signs in the movie, and they seem blocky, straightforward, their form as mundane as their messages. Lush music is drowned out by arguments and fistfights, as if there’s a more romanticized Scorsese movie playing in the background of the one he’s made. But then there are moments of startling, immersive grace or feral, raw energy. On the one hand, there are those operatic montages or credit sequences where the film seems to soar in the eye and soak up the flavor of a period or a mood, more as it is remembered than as it is experienced at the time. On the other hand, we have the fights themselves, a cacophony of explosively creative sound design (mixing breaking glass and lions’ roars) and a lightning-fast flurry of cinematic techniques (gliding dollies, jerky handheld, violently fixed framings). Between them, these two larger-than-life approaches provide the movie its extra punch, perfectly complementing the raw, focused, termitic vitality of those domestic arguments and brotherly banter down at the pool or the Copa. And that, I think, is one of the main reasons Raging Bull has retained its championship belt all these years later. However down-to-earth, however gritty, however small-bored focused as it can be (and these factors are a definite element of its greatness), it also has the ability to seem larger-than-life, mythic somehow, tapping into a history not just of its own characters, but of the national identity, and the cinematic tradition that both reflected and helped shape that identity. In this sense, its timing is no accident – it arrived exactly at the right moment to bid farewell to a long and vital (perhaps most vital) chapter in the American experience, what one might call “the postwar years” (even though the film, and arguably these years, starts during or even just before the war). I’ve recently been re-reading a very good book on mainstream narrative techniques, called The Hollywood Eye, in which the writer, John Boorstin, notes how little moments in a movie (say, the character parking a car outside a landmark, a fifteen-second crowd shot before we cut inside for the remainder of the scene) can be the most expensive to shoot. Yet they justify their expense, because they give the audience the sense of a greater world outside, beyond the frame, which enriches everything within. This is what Scorsese does with the bravura, tour-de-force moments in Raging Bull, except the world beyond the frame he suggests is spiritual rather than physical. These are the moments which make the movie seem more than a psychological portrait of a brutish, (perhaps) not very bright, boxer, and instead lend it the pallor of a valedictory epic. Yet while Raging Bull evokes this era, it also embraces all the stylistic fury and focus of the following era, the sixties and seventies with its rock music tempo, edgy dark humor, druggy disorientation, boundary-pushing ethos, and grimy, unvarnished sense of reality, and real-life energy. The film may be black-and-white, and its influences may extend to Italian neorealism (especially a film that provided a coda to that era: Rocco and His Brothers) and the noir fight films of the forties (Body and Soul, The Set-Up). But make no mistake about it, Raging Bull is a film arising directly out of its own zeitgeist, when the ever-increasing grittiness and naturalism of subject matter and acting were paired with a movie-movie obsession and exploration of technique: the films of New Hollywood were both more realistic than those that had come before, and more consciously stylized. In this, they very strongly echoed the impulses of the French New Wave (which helped kick off this second half of the postwar era), but with bigger budgets and perhaps an American sensibility at work, their formal panache was even more obvious. Perhaps in American cinema, as had occurred along different timelines and at different speeds in other mediums and nations, a self-aware, spanning-the-gap modernism (in which old forms no longer seemed possible but were still recalled and evoked acutely, in a new spirit) had given way to a more settled, inevitably disconnected, and arguably smaller-minded postmodernism (in which enough time and matter had passed that the old forms now just seemed dated, encrusted in irony, the gap now crossed with the formerly disoriented-but-alive modernist safely on the other side, secure yet spent). This is not to say that Raging Bull was some kind of popular-critical hit at the time; it did not make much money, and didn’t even win the Oscar for Best Picture. But two years later, it was chosen as one of the top ten films of all time, with little controversy and in the following decades no other movies seemed to follow in these footsteps. Meanwhile, the once-too-dark-and-dour film remains a big hit with young men who would otherwise prefer only to watch gross-out comedies or explosive superhero movies; if it did not seem immediately to have the popular touch at the time it has earned it over the years. (How its relationship with masculinity plays into its long-term reputation is also a fascinating question, albeit one that will have to be treated elsewhere.) It’s notable that if there are only two movies which can claim such widespread cross-critical-and-popular appeal in the past twenty-five years, one of them is another Scorsese movies, Goodfellas (probably heavier than Raging Bull on the popular appeal, and slightly lighter on the critical). And if the other is Schindler’s List, that says that both movies were made by filmmakers who came out of the 70s tradition, albeit in different directions (both fuse adult and adolescent/childlike sensibilities – the detailed and the iconic, in formal terms – but one emphasizes the former and one the latter). It also says that no other movie with such a strong claim has emerged in nearly two decades. 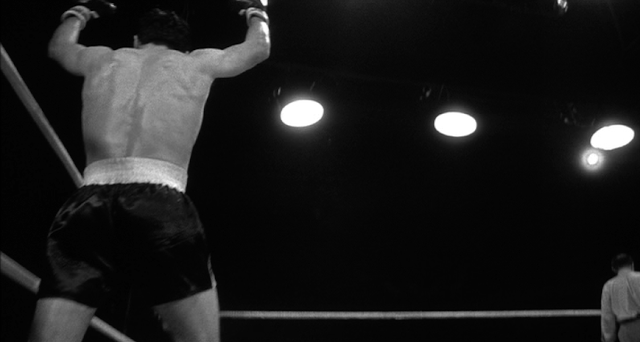 Ultimately, then, Raging Bull is not only a classic, but a canonical classic (and we can disparage canons all we want, but they must be recognized and grappled with before they can be argued against). It arrived at just the right moment. Moreover, it seized that moment with the right energy, both subject-wise – just narrow enough not to seem overly ambitious, yet with the right themes and period to appear universal (or at any rate, capturing the zeitgeists) – and stylistically – just cold and downplayed enough to earn its keep as psychological drama, just stylized and romanticized enough to achieve a mythos. It’s a great film, and a great movie, from a time when a work could be both. As such, it’s not just a reminder, but, hopefully, an inspiration, whose time will come again. 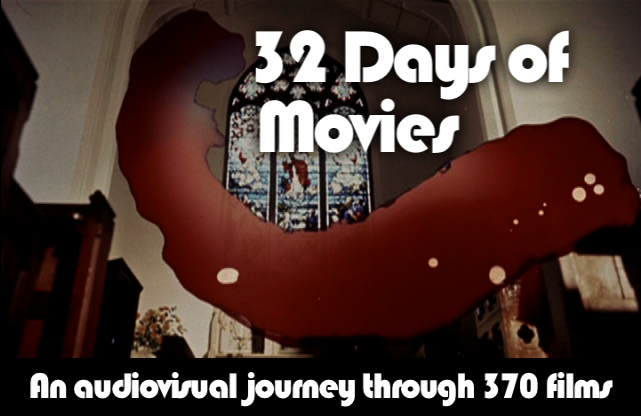 Raging Bull appears at 6:00 in "'Neath the Marquee Moon", a chapter in my video series "32 Days of Movies". No comments on here yet? I'll be the first then. Not sure if you'll get this but whatever, I gotta leave my two cents. Great essay on the film and it's placement in film history. I think part of what made 70's American cinema special is that the films seem simple on the surface, not over complicated by plotting, and creative directors could put more time and effort into the "little moments" as you note here. 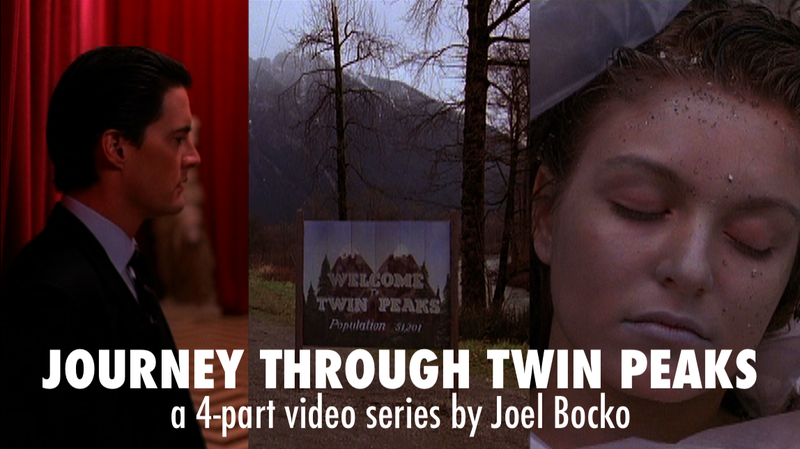 Great points on how this seemingly minor film becomes a transcending one thanks to the style and subtext. 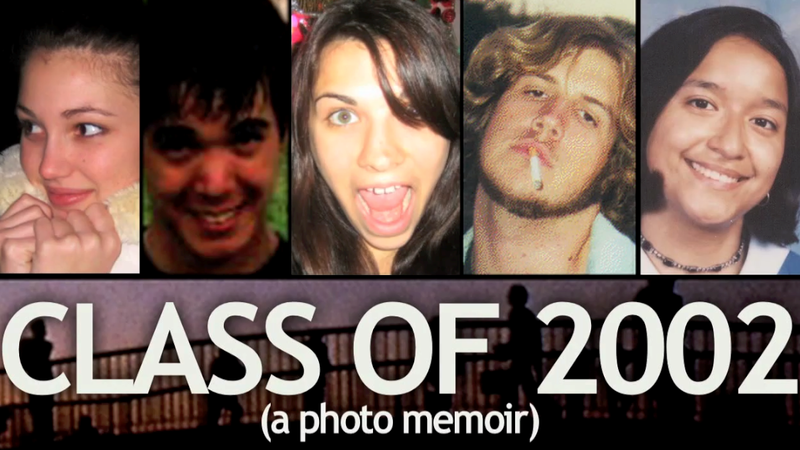 Personally, this film hits very hard, and it might be my favorite of all time. As someone who spends hours a day training and working out for no particular reason other then for myself, I see a kinship between me and LaMotta, even if some of his uglier traits (woman beating, just an overall bad temper) don't show up with me thankfully. Travis Bickle is more like a masculine rock bottom, at least to my eyes. His spiral into self delusion is one that can happen to anyone if they let themselves go far enough. And that's somewhere I hope to avoid, whereas there is something strangely inspiring about LaMotta's self punishment in the ring and his subsequent pummeling of his opponents. Personally, I see LaMotta as the more romantic of the two, I mean just look at that opening scene with him shadow boxing in slow motion. Just wow. Even if LaMotta is an unlikable protagonist, if someone loves this film then they most likely see at least see something in LaMotta reflected in themselves. I just don't buy someone saying they love the film from a purely intellectual/scholarly standpoint. 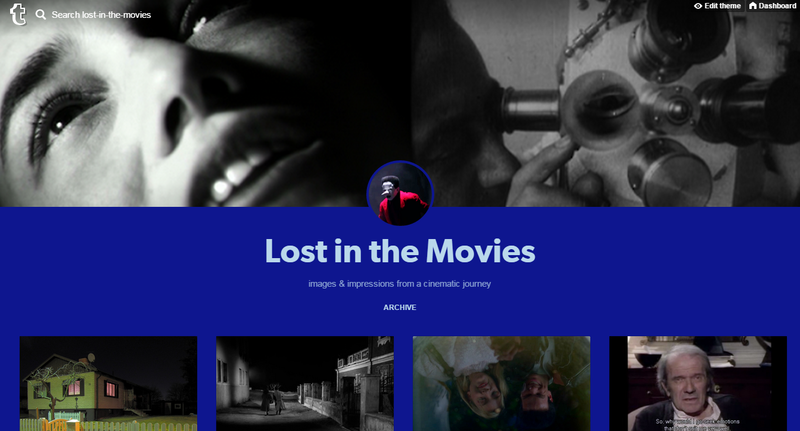 I have been going through all of the Great Movie posts of films that I have seen and will be dropping by some others later on with more comments. That's great, Mike - I actually love to see old posts get comments and always read them (there's a section on the sidebar featuring most recent comments which I check in on - btw, I responded late to a couple other recent comments, if you missed 'em). Interesting point about LaMotta & the contrast with Bickle, although I see some similarities between them (both reflective of the sensibilities of Scorsese and actually even more so Schrader perhaps): men on a mission, a large part of which is self-denial/punishment/purification. Even more compelling, I think, is the point you made about effectiveness of New Hollywood cinema; sometimes it seems like contemporary films are so eager to be clever on structure or other surface elements that they lose something in depth and detail. I think David Denby meant something similar in his essay last fall when he wrote of New Hollywood breaking with classicism in many notable ways yet keeping the faith in certain fundamentals. OK cool, I figured you would see the comments eventually. I'd be interested in hearing your thoughts on Paul Thomas Anderson, who is one of the few directors working today who I feel really hearkens back to the American cinema of the 70s, at least from what I've seen. Other major American directors who emerged around the same time as PTA largely draw their inspirations from elsewhere I think. Or I could be completely wrong, that's just the overall impression I get. Oh and not sure where I got "Great Movies" posts from in my first comment, meant to say Big Ones. While I immensely respect his obvious skill, PTA is not really my cup of tea. While enjoying Boogie Nights & Magnolia, there seemed to be something smug about them and their press. Punch Drunk Love underwhelmed me at the time (I'd probably like it more now) and There Will Be Blood confounded me: where others saw a modern masterpiece, I saw an intriguing mess. I thought the ending was terrible. That said, I'm very intrigued by The Master and look forward to seeing it, though I wish I had caught it in 70mm. Ultimately, Anderson's an artist whose wavelength I'm not quite on. I can only dimly ascertain whatever it is everyone's digging about him. However, it's been years and years - since 2007, I guess - since I've seen any of his work (other than bits and pieces of Boogie Nights on TV) so a reappraisal is probably in order. Sofia Coppola is my favorite American director of that generation, mostly on the basis of Lost in Translation. I know what you mean. I like his films more than you do but I can see how his style and presentation can be off putting to some. I haven’t seen Boogie Nights, am on the fence about Magnolia (a re-watch is due) and like you I was underwhelmed by Punch Drunk Love. There Will Be Blood is a film that we disagree on. I think it’s got all the credentials of an American classic. First of all it works well as a period film, depicting how oil and religion became a part of American life and how they were exploited by power/money hungry con men. It also draws parallels to modern day, the capitalist mindset, etc. It’s got style and its creator’s mark, it’s got a character and a performance for the ages, and it’s not an overly complex film on the surface (the set pieces are pretty straightforward; an oil derrick engulfed by flames, equipment collapsing, the showdown at the end). I understand complaints about the ending, it doesn’t add much to the Plainview character, and could seem a bit self indulgent. One reason why I love Raging Bull is how it ends on a somewhat optimistic note with the bible quote, suggesting that LaMotta has found peace in his life and can strive towards redemption. None of that in TWBB. The Master is a tougher nut to crack. If you thought Blood was a mess, well, I’m not sure what you’d make of this film. Either way, I'm looking forward to it. Maybe I'll put a piece up here when I finally see it. I'm hoping to get back to more reviews soon.